PUTRAJAYA (Jan 18): The apology from Goldman Sachs Group Inc's boss to Malaysians is "not enough", says Finance Minister Lim Guan Eng, adding that what matters is the US$7.5 billion (RM30.87 billion) compensation. "At least he (Goldman Sachs chief executive officer David Solomon) has accepted that they have to show some responsibility, but that apology is insufficient. Necessary, but not sufficient," Lim told a press conference here today. He added that Goldman Sachs has to pay reparations and compensation for the apology to Malaysians to be sufficient and adequate. He pointed out that Goldman Sachs should understand the agony and the trauma suffered by Malaysians as a result of the state investment fund 1Malaysia Development Bhd (1MDB) scandal. "We are seeking US$7.5 billion (from Goldman Sachs). 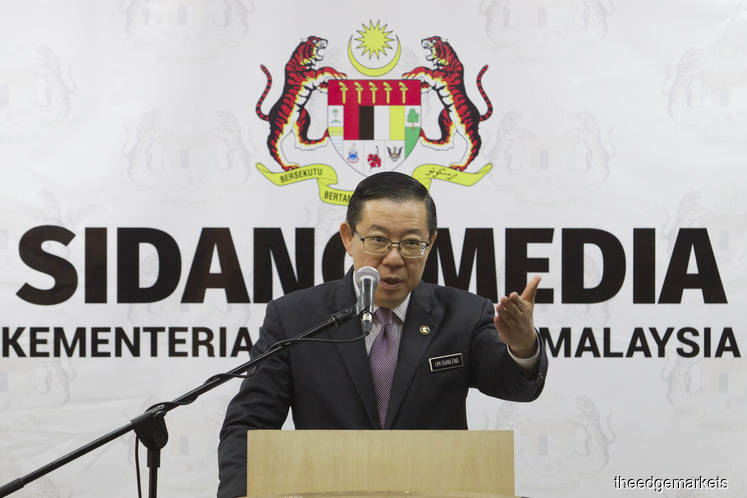 We hope that they will follow up [on] their apology to Malaysians, and they have said very clearly that they claimed they were cheated by their own staff and the members of the previous (Barisan Nasional) government at the highest level," said Lim. "If not for the change in (Malaysian) government, do you think that Goldman Sachs will make a public apology? We are dealing with the largest investment bank in the world. "It is not easy to get an apology from them, but for us, yes... still, it is not adequate unless it is followed up with the compensation," he said. The finance minister also stressed that the government is up for a discussion to drop the lawsuit against Goldman Sachs, provided that the latter pays the US$7.5 billion compensation. Meanwhile, Lim noted that he finds it "distressing" that former prime minister Datuk Seri Najib Razak "still does not want to admit his wrongdoings" in 1MDB. "When is Najib going to apologise, apart from facing the charges in court, or is he going to insist that 1MDB still benefits the people?" he asked. Lim added that the former premier is "still in a complete state of denial" by refusing to account and admit that Malaysians suffered huge losses because of this 1MDB scandal. On Wednesday, Solomon had apologised to Malaysians for former Goldman Sachs banker Tim Leissner's role in the 1MDB scandal, but said the bank had conducted due diligence before every transaction. Goldman Sachs is being investigated by the Malaysian authorities and the US Department of Justice for its role as underwriter and arranger of three bond sales that raised US$6.5 billion for 1MDB. US prosecutors last year charged two former Goldman bankers for the theft of billions of dollars from 1MDB. Leissner, a former partner of Goldman Sachs in Asia, pleaded guilty to conspiracy to launder money and violate the Foreign Corrupt Practices Act.